“…We have not changed our assessment that Iran prefers to avoid direct confrontation with the United States because regime preservation is its top priority,” he continued. Clapper’s statements come on the same day an Iranian news agency reported Tehran plans on telling the UN it has no plan of building an atomic bomb. 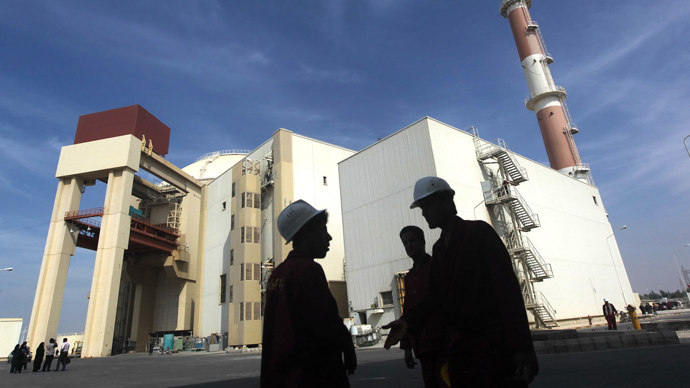 "Iran plans to declare in the UN that it will never go after nuclear bombs,” the semi-official Mehr news agency quotes Vice President Mohammed Reza Rahimi as saying. Rahimi provided no further details on when such an announcement might be made. The reports foreshadow President Barack Obama’s upcoming trip to Israel, where top officials have warned that the world has until the summer to stop Iran from acquiring the bomb. Israeli Prime Minister Benjamin Netanyahu has repeatedly threatened to pre-emptively strike Iran if it crosses the red line where Israel believes Iran would be able to build a nuclear weapon. “It’s still not crossed the red line I drew with the United Nations last September,” Netanyahu told the American Israel Public Affairs Committee earlier this month. On Tuesday Israeli President Shimon Peres told the European Parliament that the Iranian regime was "the greatest danger to peace in the world." 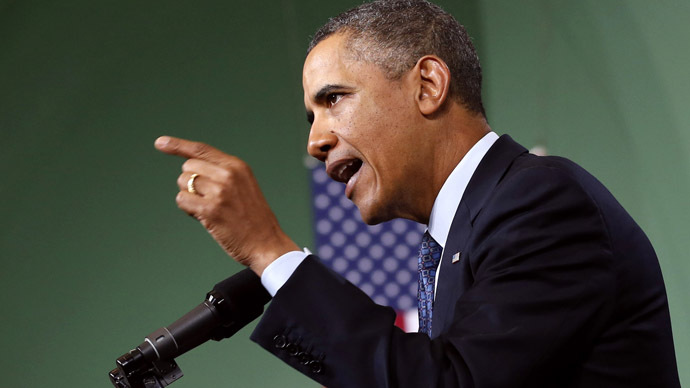 "Nobody threatens Iran," the Jewish Chronicle cites him as saying. "Iran threatens others." Israel has long pushed the White House to use military force to halt Iran’s suspected nuclear weapons program, demands which have mostly been rejected by the Obama administration. 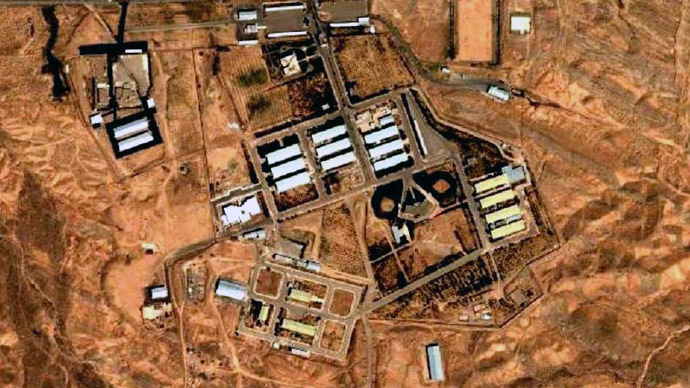 The White House, while refusing to take the military option off of the table, has thus far relied on diplomacy and increasingly harsh sanctions to force Iran to fully comply with the International Atomic Energy Agency. On Tuesday President Obama extended the “national emergency with respect to Iran” sanctions package against the Islamic Republic for an additional year. In February, the United States introduced sanctions which “effectively bar Iran from repatriating earnings from its oil exports, depriving Tehran of much needed hard currency,” the IEA said in its monthly report on the world oil market. The new sanctions came six months after the US said it would deny access to the US financial system to countries buying Iranian oil. 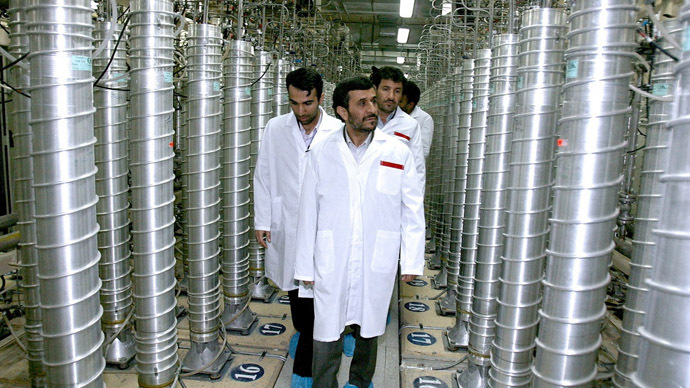 Iran has long maintained that its uranium enrichment program is solely for peaceful purposes.